Thanks to a certain Japanese anime called Initial D, I became infatuated with the 1983 to 1987 Toyota Sprinter Trueno, a.k.a the AE86, a.k.a. the "hachi roku." In high school and during my first year of college, I was dead set on finding the American equivalent, the Toyota Corolla GTS, to own as my first car. Of course, as time passed, I realized this would be a lousy investment as the amount of money I would have to spend to make the car drive the way I wanted it to would cost me a fortune. Despite my economic disadvantage at the time, I remained a fan of the AE86. When Toyota announced the spiritual successor to the AE86, the FT86, I was pretty stoked. In conjunction with Fuji Heavy Industries, the owners of Subaru, Toyota created the Toyota GT 86, better known as the Scion FR-S here in the states. Subaru also produced its own version of the car called the BRZ. Besides some interior differences and minor suspension tweaking, all three versions of the car are basically the same. Here, I test drive the Subaru BRZ to see if it lives up to the AE86's legacy. The first thing anyone will notice about a car is how it looks. Needless to say, the Subaru BRZ leaves a very good impression when it comes to looks. Everything from the classic front engine/rear drive proportions, to the aggressive looking front and rear end works very well on this car. 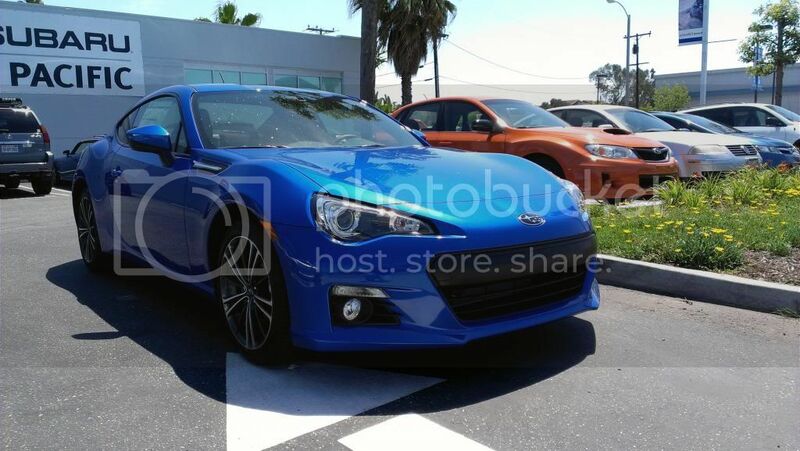 And while the front end of the FR-S and BRZ are slightly different, I actually prefer the BRZ's schnoz over the FR-S. In fact, the front end of the BRZ reminds me a bit of the front end on my S2000. Despite not being a supercar, the BRZ has head turning looks. Is it a look that will stand the test of time? We will see in a few years once more examples of the car have been sold. Having only driven one other Subaru vehicle before (the 2013 Subaru WRX 5-Door), I was a little skeptical about the BRZ's interior. Thankfully, I was pleasantly surprised. Despite only being a little bit more expensive than a WRX 5-Door (and cheaper than a WRX Limited), the interior of the Limited trim BRZ is leaps and bounds better than of its Subaru sibling. Instead of the cheap, hard, rental car like plastics in the WRX, the BRZ actually had some decent and sturdy feeling plastic bits. The buttons did not feeling like they would break after a period of use, and the navigation screen included in this model looked and felt like a quality unit. Also winning some points are the BRZ's great seats. The Limited trim I drove features a leather and Alcantara combination that makes the seats grippy but comfortable. Just like in my S2000, the seats are bolstered enough to keep you in the seat while cornering, but not bolstered too much that it becomes uncomfortable. Simply put, Subaru has a winner with the interior of this car. 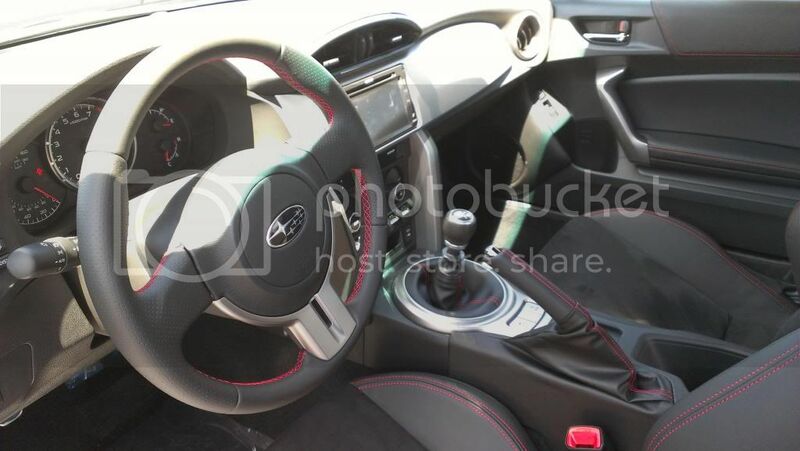 While the interior and exterior of the BRZ are quite nice, especially considering the price, the BRZ was primarily designed as a driver's car. Taking the engine, suspension tuning, and transmission into account, I think Subaru has nailed the "driver's car" part square in the head. Subaru's naturally aspirated 2.0 liter "boxer" 4-cylinder (which also sees duty in the Scion FR-S and Toyota GT86) is a great engine. While not exactly very powerful at 200 hp and 151 lb./ft. of torque, the engine is capable of thrusting the car forward at a very decent pace, and it sounds great while doing it. In fact, the engine's characteristics remind me a lot of the 2.2 liter inline 4-cylinder in my S2000, with its very peaky power characteristics. Despite the peaky nature of the BRZ's engine, it is still very drivable in regular traffic with a decent amount of mid-range power. 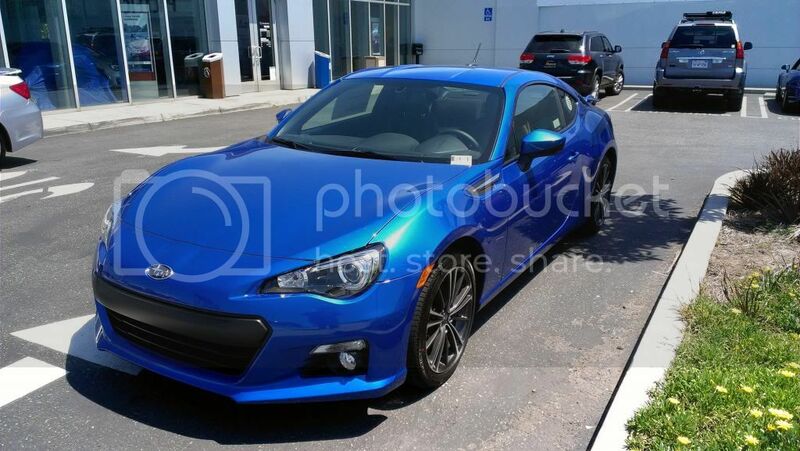 It is definitely nothing like the "boxer" engines Subaru usually produces, but if every future, naturally aspirated, "boxer" engine equipped Subaru feels like the BRZ, they certainly have a winner. Transferring the "boxer" engine's power to the rear wheels is a slick, short throw six-speed manual transmission. For the longest time, I have felt that the transmission in my S2000 was already incredible with its amazingly short throws and great feedback. It would seem Subaru was able to match the S2000's transmission with equally short throws and a great mechanical feed back. Just like sliding the bolt on a bolt action rifle, the BRZ's six-speed was incredibly precise and gave a very positive "thunk" when sliding the shifter into the gate. While driving the BRZ, it almost felt as if I was using the transmission straight out of my S2000...almost. The BRZ's great driving characteristics cannot be all attributed to the engine and transmission though. The BRZ's suspension tuning is actually quite good. Subaru tweaked the suspension in the BRZ to be a little bit less tail happy than the Scion FR-S, which means slightly softer spring rates compared to its Scion cousin. 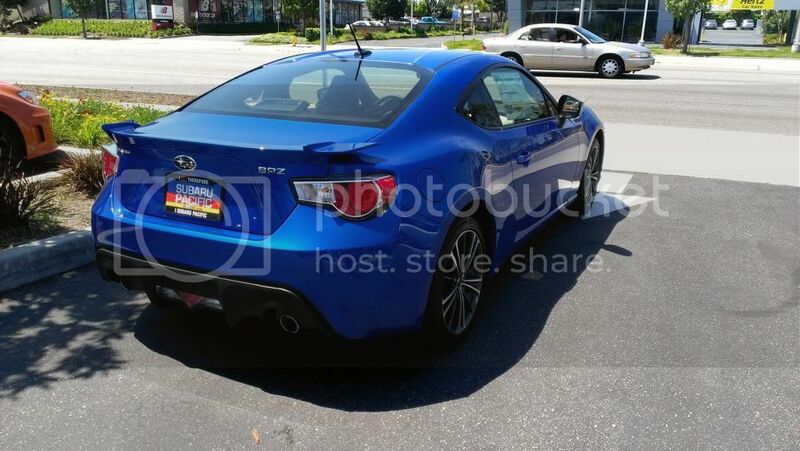 This does not mean that the BRZ is not tail happy like the FR-S, it is just less tail happy. While both cars put down nearly identical handling numbers, the slightly softer suspension on the BRZ means the car is more compliant over rough surfaces than the FR-S, which I find to be a good thing. When not pushing the car to its absolute limit, handling is very neutral and there is only a little bit of body roll. All of this great handling prowess is handled by the BRZ's quick electric power steering. Being well weighted, quick, and communicative meant I felt very confident in throwing the BRZ around corners, much like my S2000. The BRZ is an incredible vehicle, no doubt. It was very hard to find much fault with the car, but alas, I did come up with two things I hope will be changed somewhere down the line. My first issue has to do with Subaru and Toyota's decision to equip the BRZ/FR-S/GT86 with Prius tires. The second issue has to do with the clutch pedal. For whatever reason, Subaru and Toyota decided it was fine to equip a driver oriented sports car with low grip, low rolling resistance tires straight from the Toyota Prius. The Michelin Primacy HP tires were designed for hybrid cars and driver's looking for a tire that would help increase gas mileage, not for sports cars. Some buyers may think this was a good choice as it not only helps to improve the BRZ and FR-S' gas mileage figures, but it also means getting the car to slide is incredibly easy. I feel like the least Subaru and Toyota could have done was offer a performance summer tire option for people who want more grip. This way, buyers will not be forced to purchase a brand new set of tires after just driving the car off the lot. Hopefully, Subaru and Toyota will offer a stickier tire as an option for 2014. The clutch pedal in the BRZ feels a little odd. It has a very short travel distance, which is good, but it also feels too light and dull. During my test drive, I could not feel where the clutch would engage. It is a minor quibble and is something that most drivers, including myself, could learn to live with after driving the car for an extended period of time. Long story short? The Subaru BRZ is a fantastic car. It is probably one of the last few sports cars on the market today that is not saddled down with electronic safety doodads and is also one of the few cars today that offers a truly pure driving experience. Everything from the look of the car, down to the engine and suspension scream "driver's car." The price of the car only makes it all the more tempting. Granted, there are some minor problems with the car, but one problem can be fixed with a visit to your local tire store, and the other is something most people could probably live with over time. For a truly pure driving experience in a package that will not burn a hole in your wallet, the Subaru BRZ is a fantastic choice. The last time I grinned so much while driving a car was when I first started driving my S2000! Would I buy one? If I was not so attached to my S2000, I would in a heartbeat. In fact, when looking for a car back in 2010, I was a bit disappointed that this car and its Scion cousin had not made its debut yet. If the Subaru BRZ were available in 2010, there is a pretty good chance I would be in one of these right now instead of my S2000. Special thanks to Bronson Wright of Subaru Pacific in Torrance, CA for letting me toss the BRZ around!